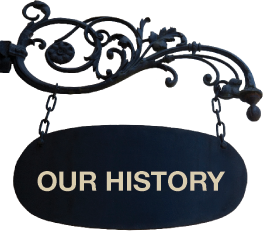 For true pizza lovers, history began in 1954. Oh, sure, a few things happened before then – continents separated, pyramids were built, some guys in powdery wigs made fancy speeches. But nothing really important happened until two nice Italian boys from Milwaukee, John and Liberio “Bobby” Zaffiro, created a pizza unlike anyone had ever seen or tasted before. Their pizza had a curiously thin, crispy crust. It was ladled with their own zesty, secret-recipe sauce and carefully layered with the freshest traditional toppings. And everyone who tasted it agreed – yep, this was the pizza the world had been waiting for. It’s the taste that established Zaffiro’s Pizza as the beloved Milwaukee landmark it remains today. 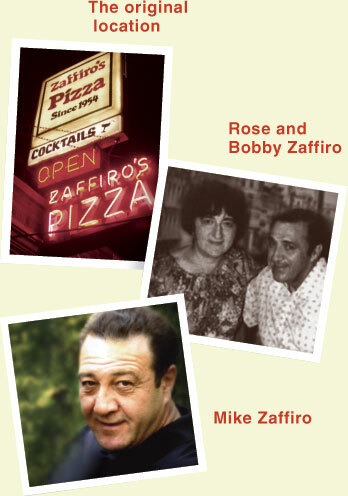 In fact, at the original location on Farwell Avenue, you can still find Bobby Zaffiro’s son, Mike, carrying on the family tradition and serving up the same delicious Zaffiro’s Pizza that has been drawing locals and celebrities alike for over 50 years. Now it’s your turn to taste the legend. One bite and we think you’ll agree — there’s not a moment in history that can even compare.